How did a simple Facebook group mobilize 12 million people in 40 countries in just one month? That’s exactly what Oscar Morales accomplished when, in 2008, he created a Facebook group called A Million Voices Against FARC. 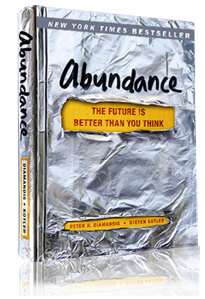 I wrote about his story in Abundance — the excerpt follows. You’ve heard me say that technology is a resource-liberating force, check out the human-resources liberated by this! The purpose of Cohen’s trip was to expand his knowledge of international relations. 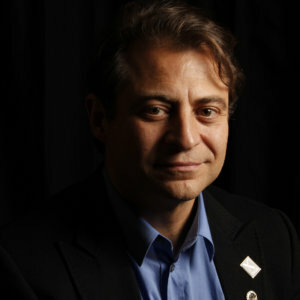 He wanted to interview opposition leaders, government officials, and other reformers, but after successful conversations with the Iranian vice president and several members of the opposition, the government’s Revolutionary Guard sauntered into his hotel room late one night, found his potential interview list, and foiled his plans. But rather than leaving Iran and flying back to England defeated, Cohen decided to explore the country and see what kinds of friends he made along the way. He made plenty of friends, most of them young. Two-thirds of Iran is under the age of thirty. Cohen dubbed them “the real opposition,” a massive, not-especially-dogmatic youth movement hungry for Western culture and suffocating under the current regime. He also discovered that technology was allowing this movement to flourish — a lesson that crystallized for him at a busy intersection in downtown Shiraz, where Cohen noticed a half dozen teens and twentysomethings leaning up against the sides of buildings, staring at their cell phones. He asked one boy what was going on and was told this was the spot everyone came to use Bluetooth to connect to the Internet. That was when it hit him: the digital divide had become the generation gap, and this, Cohen realized, opened a window of opportunity. In countries where free speech was wishful thinking, folks with basic technological savvy suddenly had access to a private communication network. As people under thirty constitute a majority in the Muslim world, Cohen came to believe that technology could help them nurture an identity not based on radical violence. These ideas found a welcome home in the US State Department. When Cohen was twenty-four years old, then Secretary of State Condoleezza Rice hired him as the youngest member of her policy planning staff. He was still on her staff a few years later when strange reports about massive anti-FARC protests started trickling in. The FARC, or Revolutionary Armed Force of Colombia, a forty-year-old Colombia-based Marxist-Leninist insurgency group, had long made its living on terrorism, drugs, arms dealing, and kidnapping. Bridges were blown up, planes were blown up, towns were shot to hell. Between 1999 and 2007, the FARC controlled 40 percent of Colombia. Hostage taking had become so common that by early 2008, seven hundred people were being held, including Colombian presidential candidate Íngrid Betancourt — who’d been kidnapped during the 2002 campaign. But suddenly, and seemingly out of nowhere, on February 5, 2008, in cities all over the world, twelve million people poured into the streets, protesting the rebels and demanding the release of hostages. Morales finished building his Facebook page around three in the morning on January 4, 2008, then went to bed. When he woke up twelve hours later, the group had 1,500 members. A day later it was 4,000. By day three, 8,000. Then things got really exponential. At the end of the first week, he was up to 100,000 members. This was about the time that Morales and his friends decided that it was time to step out of the virtual world and into the real one. Toward this end, Cohen had become increasingly concerned about the gap between local challenges in developing nations and the people who made the high-tech tools of the twenty-first century. So, wearing his State Department hat, he started bringing technology executives to the Middle East, primarily to Iraq. Among those invited were Twitter founder Jack Dorsey. Six months after that trip, when Iranian postelection protestors overran the streets of Tehran, and a government news blackout threatened all traditional lines of communication, Cohen called Dorsey and asked him to postpone a routine maintenance shutdown of the Twitter site. And the rest, as they say, is history. Twitter, of course, soon became the only available pipeline to the outside world, and while the Twitter revolution didn’t topple the Iranian government, in combination with Morales’s efforts and other Internet-based activism campaigns, all of these events paved the way for what we would soon be calling the Arab Spring. Please send your friends and family to AbundanceHub.com to sign up for these blogs — this is all about surrounding yourself with abundance-minded thinkers. And if you want my personal coaching on these topics, consider joining my Abundance 360 membership program for entrepreneurs.